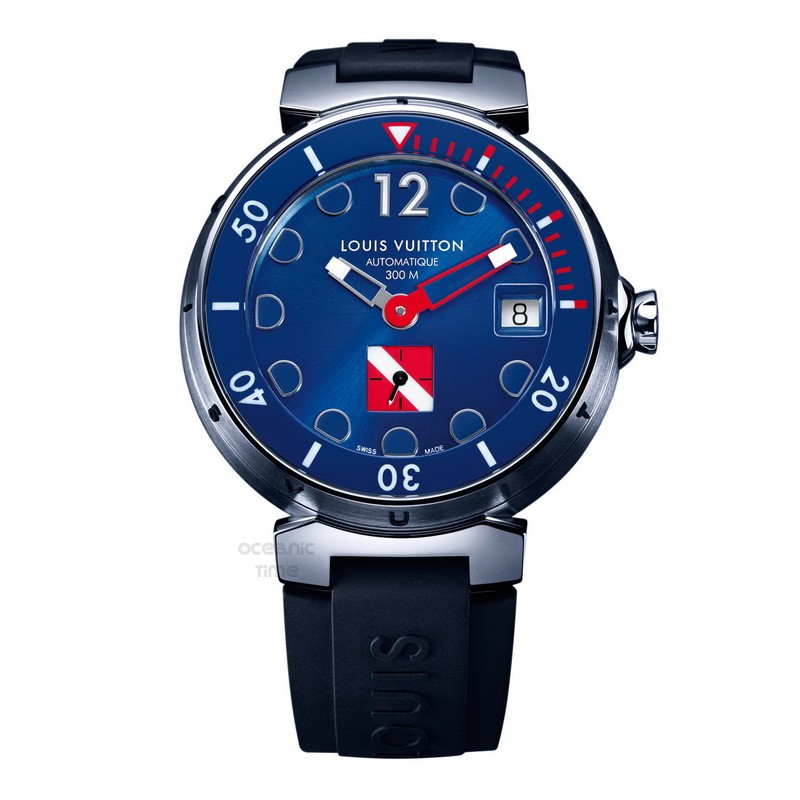 By TLex Fashion House, Louis Vuitton are celebrating a decade of watchmaking with the release of two new divers models that will form part of their new Tambour collection with its signature drum-shaped watch cases . . . The Tambour DIVING II Auto BLUE has a 44mm brushed steel case. Features include: a screw-down crown, sapphire crystal with AR-coating, unidirectional rotational divers bezel with elapsed dive-time scale and 300 meters of water-resistance. It is powered by an automatic mechanical movement, the Swiss made ETA 2895-2. Blue seems to be an unsurprisingly popular theme this year. A very eye-catching diver!